One of my “goals” from my last post https://galsgoss.com/2017/01/06/new-year-new-me-booshit/ was to get back on my gym & food commitment 100%…. Now I’ve had a good weekend we will just leave it at that, but I’ve got my alarm set for a 6am gym sesh before work and I’ve made my lunches for the week. 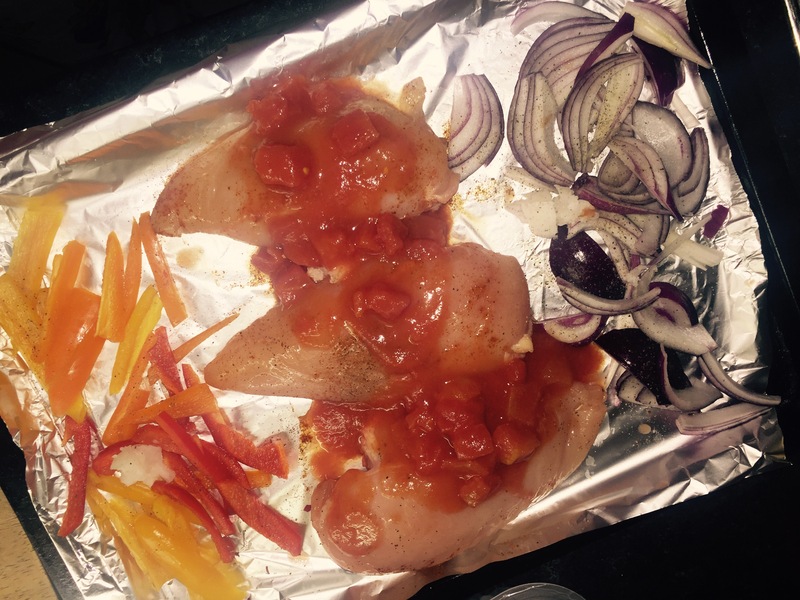 put the 3 chicken fillets in the centre of a baking tray covered in tin foil. Cut your peppers and onions and place ether side of the chicken. Drizzle coconut oil, salt & pepper and paprika over everything. Place half your tin of chopped tomatoes on the chicken. While you cook the chicken for 25 mins pop the rest of the ingredients in your containers or lunch boxes or whatever your using. Divide the rice between them all and each of your tins, the rest of the tomatoes and cheese evenly. 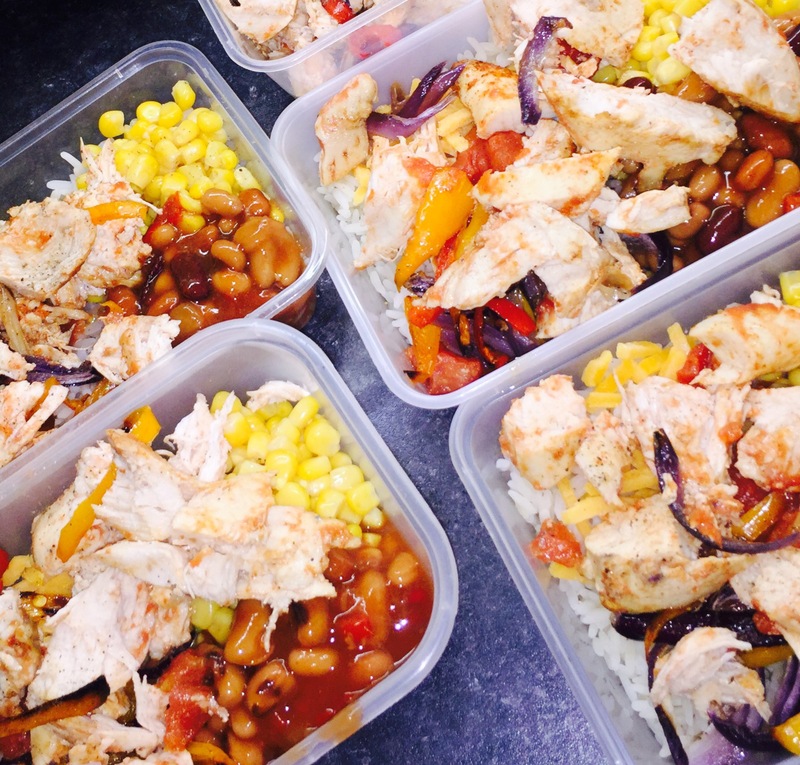 Once your chicken and veg is cooked slice your chicken and pop everything else amongst your lunches! Season & you’re done! This took like 40 mins in all and I’m super excited to try it I think it looks tasty! What are you gals prepping this week?